Set atop a hill site with a commanding view of the farmland around him, Peter leads a very busy farming life as well as attending to his newer occupation – a children’s author. With a varied background that includes police, motor transport, cattle work in Queensland and wheat belt harvesting, Peter is no stranger to hard labour and the outdoor life. Writing though, is something that Peter always wanted to do, and one night not so long ago after writing at his computer, the genesis of the books began with thistles and chook houses as the subject matter. 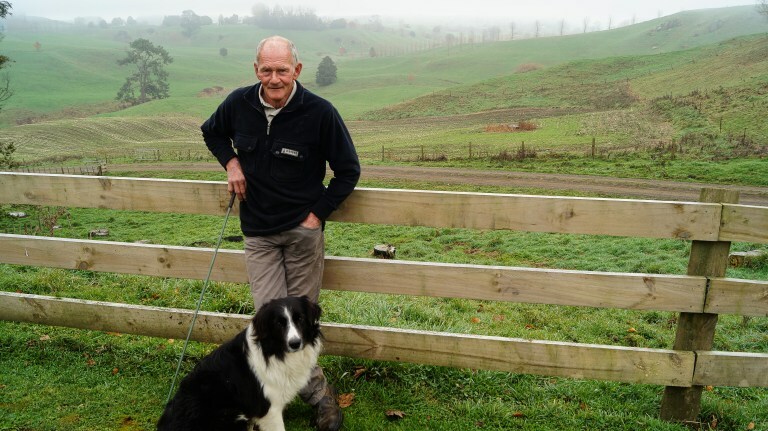 He emailed his drafts to Opotiki author Nicky-Slade Robinson and was advised of a likely wait time of 2 or 3 weeks for a response, but within 2 hours there was live contact and the daily creativity of writing was added to his usual farming routine. After an initial faulty printing, (with these books being sent to the children in the Solomon Islands after the floods decimated their homes), the collaboration with Wellington illustrator Gary Gibson and the fortunate connection with Smith Print, also in Wellington and Nikki Crutchley his new editor based in Cambridge, a completely New Zealand based production team was formed. Each bring their own talents to the Me and Dad Kids Books line. Peter has ideas and experiences a plenty and the motivation of his own family and the responses from children in many schools both here and overseas. Nikki brings her editors expertise to the text and may suggest slight tweaks here and there. Gary creates perceptive graphics to the text – illustrations that provide key features of the language flow but do not swamp a young reader with detail. Smith Print provide caring on-demand printing with a print run only a phone call away. Features of the now established series are the New Zealand contexts that children and parents can relate to, a print size that suits the reader and the quality paper and colour work that compliment this. It’s a completely local production team. Peter is always looking ahead and half a dozen or so new books are due out before Christmas. The success of the Me and Dad series reflects that stories are mainly based, (and acknowledged) on real people and real situations. Many children in New Zealand are not exposed to rural life and don’t realise where many of our day to day items come from. Money comes out of machines and milk is something that is found in supermarkets. To Peter, stories that open up the real world have an impact on children. Popular already in many New Zealand schools, the constantly added to series are also being snapped up by tourists and sent as far afield as China, Russia, Germany, Sweden and the Pacific Islands. They are frequently used in the teaching of English to other cultures around the world. meets and immediately children in these situations are exposed to a living author – a highly motivating experience. 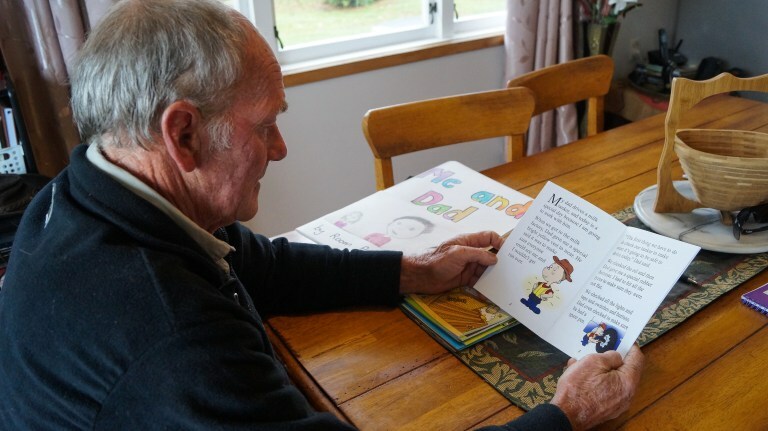 One book in particular is very popular in the South Island – Me and Dad Go Duck Shooting. The reason being that it makes a great present – wives for their husbands, for boyfriends and of course children. Locally the Post Shop Putaruru and the Tirau iSITE stock all the books Peter will feature on Country Calendar in August/September this year. There are numerous thank-you letters and illustrated follow up work creations from many schools throughout the country. Letters too from grateful parents of children who were finally turned on to reading through Peter’s books. And why not, when the stories feature Mum’s and Dad’s as the heroes. As well as his busy farming schedule and Shelly’s ambulance duties, they both manage to fit in appearances at rural events through the country.